Reading the Old Testament is difficult, but worth the effort. Last week, I explored how the Old Testament serves as a mirror for our lives and leads us to Christ. This week, we will look at a second reason for reading the Old Testament. Torah Scroll from Duke Divinity Library. Everywhere Jesus went, the Old Testament was on his tongue. Having been baptized in the Jordan, Jesus was tempted in the wilderness. He responded to each temptation with a word from Deuteronomy. After finishing the temptation, he returned to his hometown. He went into the synagogue and stood up to read. There is one detail in this passage that we often skip over – Jesus knew where this passage was in the scroll of Isaiah. 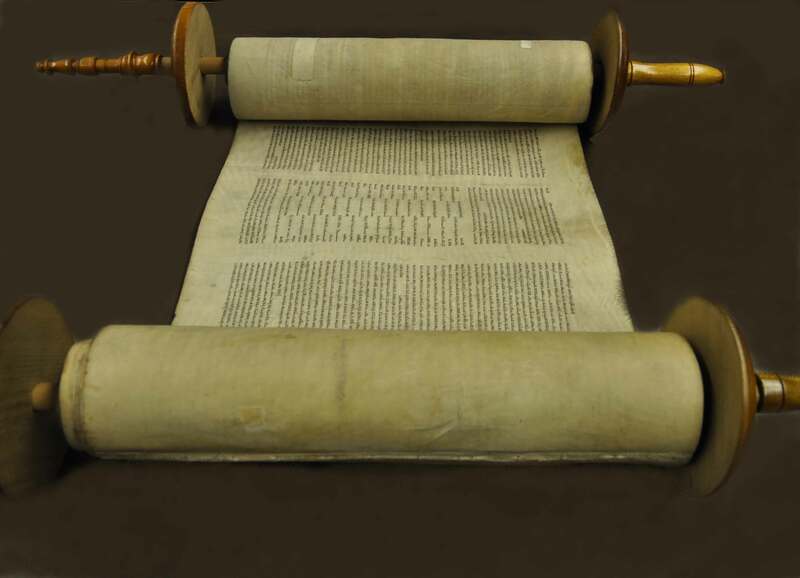 Jesus knew the scriptures well enough that, when he was handed the scroll, he could find them. The Old Testament was Jesus’ Bible. Jesus knew them all – Genesis to Malachi (or 2 Chronicles if you take them in the typical Hebrew order). It seems that no matter where he was or what situation he was in, his life, identity, and words were shaped by these 39 books of the Old Testament. When preaching the Sermon on the Mount, Jesus is riffing off the Old Testament commandments. When faced with controversy from bible scholars and religious leaders, Jesus quotes and interprets the Old Testament. When Jesus says “I am the good shepherd,” Psalm 23 stands in the background. When Jesus says, “I am the vine,” all the plant imagery connected with Israel and the Messiah are in view. When suffering on the Cross, Jesus quotes Psalm 22. And when he is raised from the dead, he opens the minds of his disciples to understand the scriptures. When we read the Old Testament, we read the Bible Jesus read and used. These are the prayers Jesus prayed, the poems he memorized, the songs he sang, the bedtime stories he heard as a child, the prophecies he pondered. He revered every “jot and tittle” of the Hebrew Scriptures. The more we comprehend the Old Testament, the more we comprehend Jesus. When we gain a deeper understanding of the Old Testament, we not only gain a deeper understanding of Jesus himself, but of the entire New Testament. Much of the New Testament is difficult to read without a basic (or advanced) knowledge of the Old Testament. It was the Bible of the Church while the Spirit was working in and through them to write the New Testament. Hebrews and Revelation are almost impossible to grasp without the Old Testament – the majority of those books are quotes and allusions from the Old Testament itself. Even as the church understood that God was doing something new in and through Jesus, they knew there was great continuity between the two Testaments because it is the same God who is active in all of it. The whole imagination of the New Testament is saturated with the Old. Quotations, images, and allusions abound in the New Testament as they wrestled with the reality of Jesus Christ, the Word made Flesh, in the light of the only Bible they knew – the Old Testament. Knowing Jesus loved the Old Testament does not always make it easier to read. It’s challenging. It takes wrestling deep and long with the Word of God through prophecy, story, and song. Like Jacob, who spent all night wrestling with an angel until it blessed him, we are called to wrestle with the Old Testament and not let go until it blesses us. What difference does Jesus’ love for the Old Testament make in how you see it? Where have you read the Old Testament and been surprised to see Jesus? Where have you wrestled with the Old Testament only to find yourself blessed? I was most surprised to see Jesus in Genesis 15, the covenant. The LORD and Abraham make a covenant. It is many years ago that I heard about the significance of the torch and the smoking fire pot (both signs of God) going through the blood path. That is when I understood really for the first time why Jesus had to die.